If you want to play the HIGHEST standard of goalkeeping, whether semi professional, professional or even internationally in goal, I have some vital important news for you, and that is... YOU HAVE TO BECOME MENTALLY STRONG! I am Ray Newland the founder of Just4keepers and I LOVE this subject and over the past 21 years being involved in goalkeeping at the highest levels, this is something I love teaching. 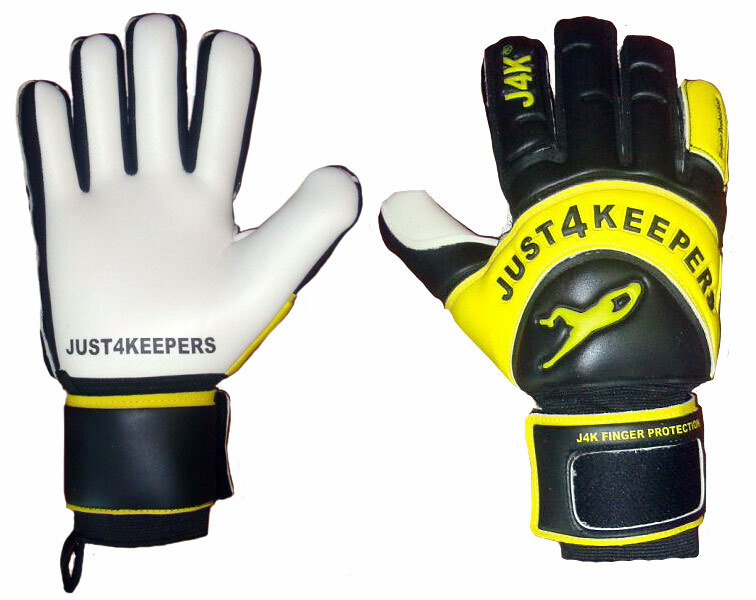 In fact over the past 11 years running Just4keepers Goalkeeper schools, myself and J4K has helped nearly 250 goalkeepers get to professional soccer clubs, this is more than any other goalkeeper coaching training schools in history. I know it’s a bold statement, but our success is there for everyone to see and our proven track record of getting goalkeepers to professional clubs is envied and unrivalled worldwide! I honestly believe that one of the main reasons for our continued success is because we teach our students how to develop their mind set, so they become super focused, super confident and super mentally strong! This gives our students the ‘Edge’ against their competition. Then click J4K FREE Video Course link on left hand side and at the bottom of this page, there is a box were you can add your email details to get this free goalkeeping video course. Do you REALLY need Goalkeeper Glove Cleaner? I am constantly asked by my students, do I believe in paying money for goalkeeper glove cleaner that you now see advertised on goalkeeper coaching shops. Too be honest, I do not think its worth paying any money. By the way, I am not saying these glove cleaners are bad, they are not because I have spoke to a few goalkeeping students of mine who swear by this stuff, but me personally I would rather save the money and not buy this cleaner, then put this money saved towards a new pair of gloves. Goalkeeping Gloves are a VERY fragile products and if you wash them wrong, you could easily ruin them. I have done this with my gloves sooooo many times over the years were i washed them wrong and had to throw them away, and I had only used them once! So what do i use if i do not use glove cleaner? As basic as it sounds, i just use clean luke warm water, and i DO NOT add any detergent, cleaner etc, I use pure water. This has worked very well for me in my 20+ years of playing in goal at the highest levels. And my gloves have always lasted me a long time doing it this way, thus saving me money! One of the things that i do after a game as sad as this sounds is I jump in the shower wearing my gloves and clean them this way. Yes I know very sad but it works for me. 1: Gently wash my gloves with my fingers until I get the dirt off. 3: Repeat number 1 and 2, so you are getting all dirt off gloves. Cleaning my goalkeeper gloves in this manner has helped my gloves last longer and preserved my grip, so please give my go a bash. Plus it saves you money! Where to find Goalkeeper advice? Goalkeeper Advice or Goalkeeper help. The problem you have guys is this is too generic and what you find is that you will just pull up a load of generic goalkeeper coaching websites, that most probably cannot help! Also if you are getting a ton of websites to choose from, which one do you pick? Again a hard choice, especially if you are not sure what to look for? Advice of find the best goalkeeper coaching schools. where do i find the best goalkeeping training schools in my area. I have been around top level goalkeeper coaching fro 20 years now, playing professional and coaching in my organisation that is the biggest in the world now. And one thing that I have found is the goalkeepers who ask the most detailed questions, seek out the answers and the more importantly, ACT on this new found advice, go on to achieve more than the keepers who ask a generic goalkeeping question! So please be detailed in the questions you ask in your goalkeeping world, and remember ACT on the advice given. because if you do not act or put in practice your new found keeper knowledge it is obviously not going to help you! I Hope this keeper tip helped? What are the best match goalkeeper Gloves? I get asked this all the time, either what is the best match goalkeeper glove, or what is the difference between a match goalie glove and a training glove. Well it mainly down to the palm of the glove, each goalkeeping glove has what you called latex on the palm, this is the white foam like material. Now the better the latex, normally, the better the grip! So if you buy a hard wearing 2mm palmed goalkeeping glove, this will most probably be poor as a match glove, but probably okay for a training glove as this is made for durability, rather than quality and comfort. With literally hundred of gloves and palms on the market, how do you know what is genuinely the best? Well this is difficult, so you are best going with a glove brand that is a specialist brand, what i mean by this, is a company that deals purely in goalkeeping products. The brands that do every type of sports goods and products you are best staying away from as the gloves are just another products to these big hitters, were a company that does purely goalkeeper gear cannot afford this luxury, so needs to put every bit of quality into their Gk Gloves. So what gloves are best for match situations? Try and stay away from the black palmed gloves and also the 5mm palms, as they are too thick and its hard to feel the ball. Also the price range does not have to be silly, I would personally only pay between £30 and £50 for my gloves... no more. I always have a mini heart attack when my students tell me that they had just paid £70+ for a pair of gloves as there is no need to guys. I hope this GK tip helps? Are Aqua Goalkeeper Gloves worth the money? My answer is yes, and no. I say ‘No’ because being a professional goalkeeper for 10 years and now running my own International goalkeeper training schools for nearly 11 years, I have seen every goalie glove you can imagine, and I have always been of the opinion that Aqua gloves are more mind over matter, rather than the Aqua glove actually being better than a normal white palm super soft latex palm. Also developing my own glove brand, my feelings are underlined that maybe a Aqua goalkeeper Glove will only do the same job as a normal white palmed glove. In fact i believe it that much, i have decided not to bother having a Aqua Goalie Glove in my range. For many people who know me, they will tell you that I do not believe in pulling the wool over people eyes, and rightly or wrongly, my thoughts are that I was doing this when i has Aqua keeper gloves though my brand, hence why i pulled the plug on them! The reason why i still yes, is that goalkeeping is very much a confidence and metal position and if you wear a goalkeeper glove, or even a goalkeeping item that ‘YOU’ believe will make you play a better game, wear it! iI you ask most professional goalkeepers, they will all tell you that they wear an item (that you might think is crazy) just because they believe it makes them play better! 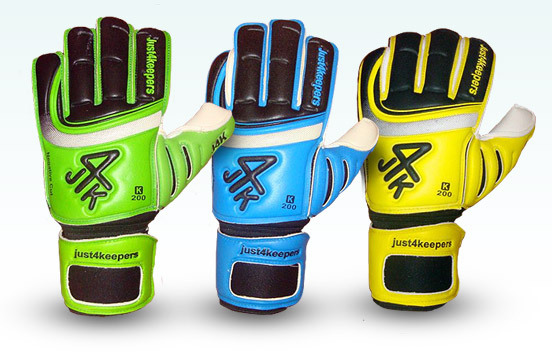 So if you think Aqua goalkeeper gloves will make you play better, go for it. I hope this goalkeeping tip helps you? Former Just4keepers Goalkeeper Student student on fire! Nathan Deam, who was at J4K for 4 years before moving to Man City has been on trial at Grimsby Town FC. How this lad is not at a professional club beggars beyond belief but while our pro clubs seem to give medicore foregein keepers the nod before our own wonderful talent, English keepers like nathan just have to knuckle down before something is done. Joe hart is a classic example of what England can produce given the chance!! so come on PRO clubs, stop settling for medicore keepers from other lands, and give our own talent a chance. You never know, you could unearth another Joe hart!! Nathan Dean, The trialist for Town was in inspired form and he pulled off a number of top saves as the Whites piled on the pressure. Grella saw a header tipped over from close range before McCormack got in on the left, only to see his curling effort wonderfully tipped around the post by Dean's fingertips. As the game moved into the last 20 minutes the Mariners made some changes with Ross Gardner replacing scorer Dixon and Leary departing to be replaced by young trialist David Deane. Still United kept coming though and Clayton wasted a golden chance on 74 minutes when he blazed over with a volley after being left unmarked at a corner. Town were looking dangerous on the break and they nearly added a second as the game moved into the final ten minutes. Substitute Gardner slipped the ball through for Fuller but his lofted effort proved no problem for Paulat-Brigg. An equaliser for the visitors finally came on 87 minutes. Another cross from the left was header goalwards by Grella and Dean did superbly to acrobatically tip the effort onto the underside of the bar but unfortunately for Town; Scottish International McCormack was on hand to nod home the rebound. The game moved into injury time and there were loud shouts for a penalty from the visitors when McCormack went down under a challenge from Gray but referee Mr Ross waved away the appeals. The last action of the night fittingly went to Dean as he punched a free kick clear under pressure with both sides settling for a point in an entertaining game. LEEDS: Paulat-Brigg; Crowe, White, Bromby, L Turner; Faye, Robinson, Clayton; Somma (Hatfield), Grella, McCormack. Subs not used: N Turner, Payne, Booker, Taylor. What the best goalkeeper gloves for me? A lot of goalkeepers (or in particular the parent of a goalkeeper) always make the same schoolboy error mistake when purchasing goalie gloves. They check out websites and or gloves review websites and go with the Goalkeeping Glove that everyone says is the best on the market! 1: The chances are, the keeper glove everyone is raving about is probably just the ‘In glove’ at that present time and not necessarily the best on the market. Companies now are very clever with their marketing and sadly most people are like sheep and once a handful of people (Or companies) say ‘these gloves are the best’ most people just follow the herd! Just because websites or review sites say these gloves are the best. You have to make a decision whether they mean they are actually these best or just the next fad on the market! 2: This is most the most important point: Lets say this glove everyone is raving about is the best on the market. Just because it is the best, it does not mean its best for YOU! Because everyone body’s hand shape is different, certain goalie gloves will be great for you and others will not! FOR EXAMPLE: If the best glove on the market is the new supa dupa roll finger goalkeeper glove but your hand shape best suits a fingersave goalie glove or even a negative cut goalkeeper glove well it does not matter how good this ‘Best Glove’ is because it does not suit your hand shape. So you have to make sure before you buy ANY goalkeeping glove even if suppose to be the BEST, you have to make certain it suits YOUR hand shape otherwise you will probably waste your money. It's vital that when you purchase goalkeepers gloves that the gloves fit very well around your hand. Badly fitting gloves restrict movement making it difficult to catch a ball cleanly. Gloves that are too small can be painful and distract you in a game, which could cause a goal. However, having a keeper glove too big, is just as bad. Probably worse! This is the most common thing that I see with my students, is that they buy gloves with a couple of cm space on the tips of each finger and thumb. This is a massive mistake for a goalkeeper because this extra glove material can actually get in the way of you catching the ball! When you buy a pair of goalkeeper gloves, first ask advice on buying gloves from the shop that you are buying from as most should have at least one person there who can advise you. Ideally when you try a pair of goalkeeper gloves on, the goalie gloves should fit exactly snug on the tips of each finger and also the thumb. You do not want them too tight or definitely too big. They need to be snug on you! Also please make sure you buy a pair of gloves that have a white palm, and have soft latex. There are loads of different named palmed gloves now, a lot blind you with science but if you stick to a white super soft palm, you will never go far wrong. Another important bit of advice for buying goalie gloves is that you do not have to pay £50 plus to have a decent pair. There are enough glove brands on the market now were you can get a quality pair of gloves between the price of £30-£50, so do not pay silly money! Where do you find the best goalkeeper drills? If you are a goalkeeper who wants to improve it does help if you can get hold of some goalkeeper drills that you can utilise in your goalkeeper sessions can be advantageous to your development. However getting the correct keeper drills for your ability level can be a challenge, as you have to make certain that you do not get drills that are either too developed or even too basic. As keeping is a specialist position, you really have to be careful what GK drills you do actually purchase, watch and indeed put into practice. So here is my top tips on how to find the correct goalkeeper drills for you! 1: if you have a goalkeeper coach, ask him what level you are as a keeper. A experienced coach will tell you your exact level and what levels you should be looking to learn from. 2: I know it’s not ideal, but if you have not got a experienced goalkeeper coach, ask your soccer manager. Depending on heir experience, they should also give you an idea of what level you are. 1: From a reputable experienced goalkeeper coach: (If you just buy any session plan from any coach, your goalkeeping may suffer). So check out this coach you are potentially buying from, look what he has done in the game, and has he got testimonies from other people who have bought from him etc. Once you are happy this guy can help you, but. 2: Do not pay through your nose! There is a lot of GK coaches selling their experiences for a fair price while others are charging a silly price! So try not to get ripped off. 3: See if there is after sales service: Anybody can make a dvd or book look good but are they willing to offer you help and advice after you have bought. If they are not offering this option, do not buy! Getting goalkeeper drills from the right goalkeeper coach can REALLY help you improve your goalkeeping, just make sure you buy right! Your goalkeeping is too important to make a mistake! In many contact sports where there is a target, (where a team needs to score) there is a Goalie. Goalie is just an abreviation of the above and even though some sports claim that a GOALIE is just for their chosen sport, this is nonsense! This is just not the case because as i said above, any goalkeeper, goaltender, goalplayer, keeper etc that plays in most sports, ice hockey, soccer, handball, water polo etc can be refered to as a goalie. However ice hockey, followed by soccer probably use this term more than any other sport. However no matter what sport the Goalie is the most important player on the pitch as without this position it would be a free high scoring game. So this is just a quick guide to explain the difference. Do you want a free goalkeeper training session in widnes? 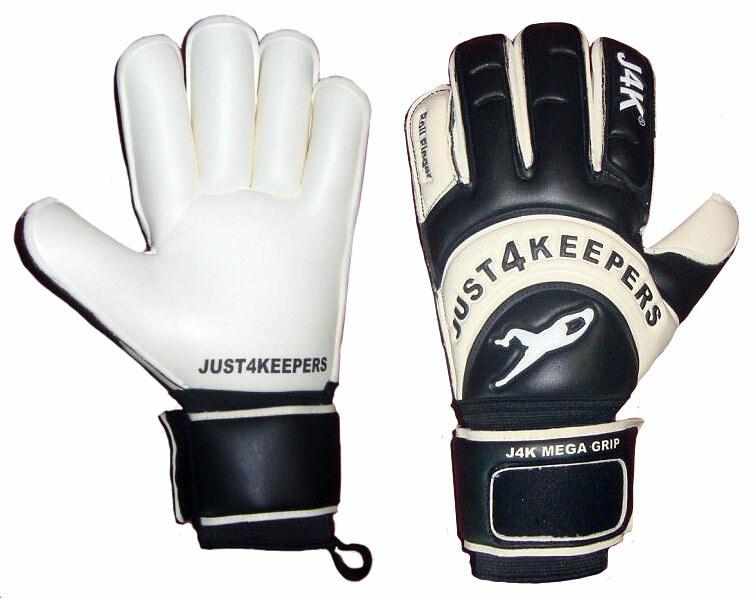 If yes, contact Just4keepers Goalkeeper school on 0151 222 3657 or email info@just4keepers.co.uk. Do you want a free goalkeeper training session in warrington? 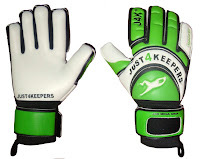 If yes, contact Just4keepers Goalkeeper school on 0151 222 3657 or email info@just4keepers.co.uk. I have been asked to do quick review on the Umbro Goalkeeper Gloves. After the world cup 2010 loads of my students have asked me about his glove. 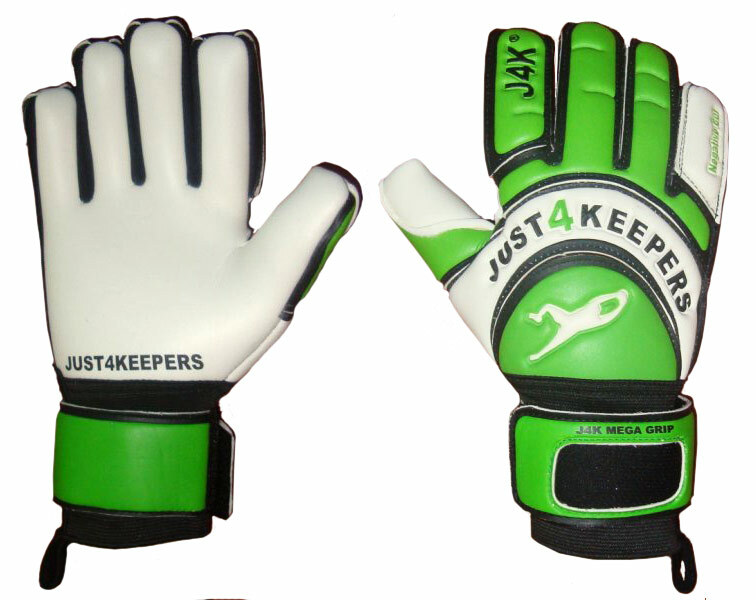 It does look a really nice glove and the ones England keeper David James wears are good. But these are the top of the range ones probably about £50 . The problem I am seeing with my students is they are going to the local big sports outlets and buying the replicas at about £10-£15. The problem is that replicas will not perform as good as the high specification counterpart. These gloves are like paper and not really giving the goalkeeper much padding and protection as the palms and backhand are not that thick. But you have to remember these are the replicas you are buying in these shops. The problem with replica gloves is they look more or less the same as the ones your see your favourite professional goalkeepers wear. But they are NOT the same, in fact even though they look the same they are different specifications and this is VERY important. The goalkeeper glove you see your favourite pro keeper wear will be top f the range with the best specifications possible. So if you are only paying £10-£15 for these gloves, unless you are getting in a special sales deal offer, the chances are you have bought a replica glove. These gloves are not going to the same job as the main high specification gloves and the chances are they will not last as long. So if you are going to buy a pair of goalkeeper gloves you see your favourite goalkeeper wearing you have to make certain that you are not buying the replica pair otherwise you will not get the performance your were expecting! I hope this tip helps? Most goalies see the words Goalkeeper Gloves for sale in an advertisement and think that they have found the right place to find great keeper gloves. But this is not necessary the case! With there being so many glove brands on the market today, and not forgetting different palms cuts (negative cut, roll finger, flat palm, hybrid cut etc) it really is a mine field when buying goalie gloves. Unfortunately most keepers will see an advert for cheap goalkeeper gloves, or the best goalkeeper gloves and then go to a particular shop or website and just buy because they are cheap or they have been quoted as the best! Before you start buying, you really need to know not only what glove brand you need and what is best for your hand, but also what palm you need. Really as a goalkeeper, you should know what is the best glove for you and then when you do a search on the internet put in the EXACT glove that you are looking for. When the results pop up for the gloves that match your requirements, you can then search the exact goalkeeping glove best suited to you and your hand shape. One of the worst things goalkeepers can do is buy a glove that is not suited to their hand. And even though you might get this glove 99% off normal retail price, it is not worth buying this glove unless it fits comfortably on your hand! So remember, please do not check any website or shop out just because it states Goalkeeper Gloves for sale, because you really should be targeting your search for gloves that are only suited for your hand shape.